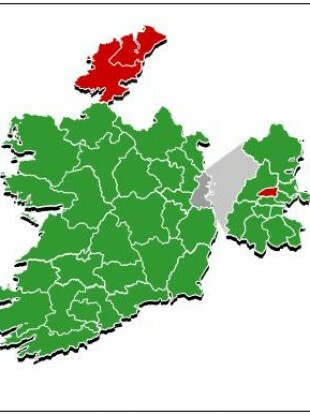 The two Donegal constituencies and Dublin North West, marked in red, were the three constituencies to reject the referendum proposal. AS WE NOW know, the Children’s Rights Referendum has been passed. - A total of 1,066, 239 votes were cast: 4,645 of these were spoiled. Read: So who did turn out to vote? Email “Constituency-by-constituency: How you voted”. Feedback on “Constituency-by-constituency: How you voted”.